DESIGNED FOR BILLERS. TRUSTED BY PRACTICES. 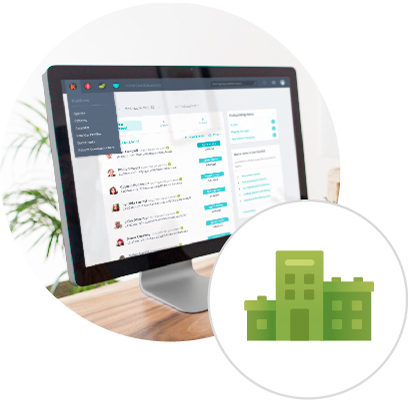 Kareo's intuitive, cloud-based platform puts billing companies in control of their business and offers more value to the practices that they serve. Over 1600 billing companies trust Kareo to help them run a more successful billing company and we can help you too. Our award-winning platform and services help you attract, manage, and retain clients. Designed for billers. Trusted by billing companies. We've helped over 1600 billing companies find a better solution. We can help you too! Kareo offers flexible pricing options for billing companies to accommodate your unique business needs, including monthly subscription rates or transaction-based pricing options. Contact a Kareo Solutions Consultant to get a personalized account review, and they will provide you with the best pricing options for your company. Kareo has various term options available based on the pricing model that works best for you, including month-to-month options. Speak with one of our Solutions Consultants to learn more. In addition, we have onboarding solutions that include free access to a Customer Success Coach (CSC) and training through Kareo University. Personalized training options are also available. Once you sign up with Kareo, a dedicated CSC will contact you within 24 hours to welcome you and assist with account set up. Your CSC will help coordinate your entire onboarding timeline, which includes initial account setup, enrollments, claims processing, and ERA receipt. Additionally, our Kareo Training Specialists will help guide you through available e-learning options. We are committed to your success and expect to have your account fully implemented within 90 days of your account being setup. To learn more about the onboarding process, visit our help page to learn more about the steps needed to get started. You can begin sending electronic claims to all commercial insurance companies, such as Aetna, Cigna, United Healthcare, and many others, within 48 hours of signing up for Kareo. A few payers, such as Medicare, Medicaid, Blue Cross/Blue Shield, may require authorization of an enrollment form before you can submit electronic claims. Once these payers process your enrollment form, typically within 5-30 days, you can then send electronic claims to these payers through Kareo. You can submit electronic claims to more than 4,000 insurers through Kareo. We support Medicare, Medicaid, Blue Cross, Blue Shield, and Tricare in every state. We also support major national insurers, such as Aetna, Cigna, Humana, and United Healthcare, as well as local IPAs and smaller insurers. Does Kareo help import my data? Kareo has support options available to assist in importing data into the Kareo platform. Pricing for data imports begins at $250, with the total cost being determined by the data sets requested and the size of your data project. How will Kareo bill my account? Subscription fees are billed a month in advance of service, except for the first month when you are billed a prorated fee based on the number of days you had access to Kareo on the following month’s invoice. We accept payment by direct debit to your checking account or by Visa, MasterCard, Discover, or American Express. Payments are due on the tenth day of each month. 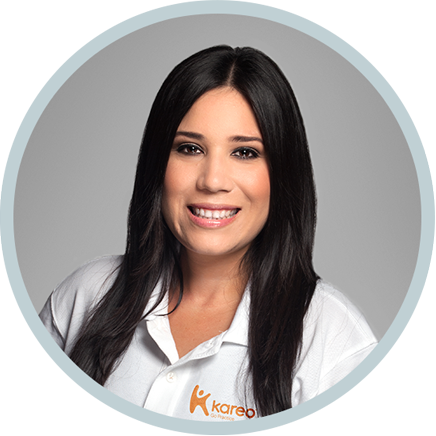 Kareo has a dedicated Enrollments team that will assist you in clearinghouse enrollment at no additional cost. Kareo Support can be reached Monday through Friday, between 8am ET/5am PT and 8pm ET/5pm PT, excluding national holidays. 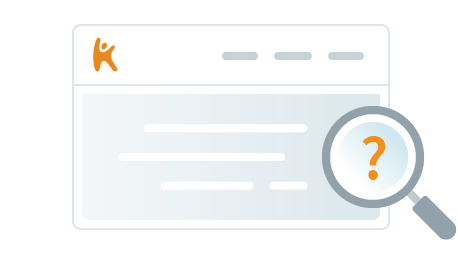 Help center articles are available on Kareo’s support site or you can reach out directly to the Kareo Support Team via chat, email, or phone. Yes, we offer you and your providers the flexibility to accept credit cards in person, online, over the phone, or through patient credit cards on file. It’s simple and affordable to set up an account and start processing credit cards in Kareo and can be used with or without a card swiper. The payments are processed through a merchant account, deposited directly into your bank account, and posted to Kareo. There are no set up or monthly fees, no contracts, and you can cancel anytime. It allows you to accept all forms of card types, including FSA, HSA, Visa, MasterCard, Discover, and American Express. The rate per transaction is 2.75% + $0.30. Windows 7 or newer version of Windows is required to run the Kareo Billing desktop application. Visit the Kareo help page to get up-to-date system requirement information. The Kareo web application runs in a web browser and may be accessed on any PC or Mac computer. As a billing company, you will also need to run the Kareo Billing desktop application, which is Windows-based. Mac users can seamlessly run Windows applications on their system by acquiring a compatibility program and Windows license. Visit Kareo’s help page to learn more about program options.